Mega Bloks Halo 97011 Warthog Resistance set review! Here's another current, but previously-released Mega Bloks Halo set. This one includes the unforgettable and unmistakable Warthog with its standard armament, plus three figures, a Forerunner structure, and one powerful Spartan weapon. 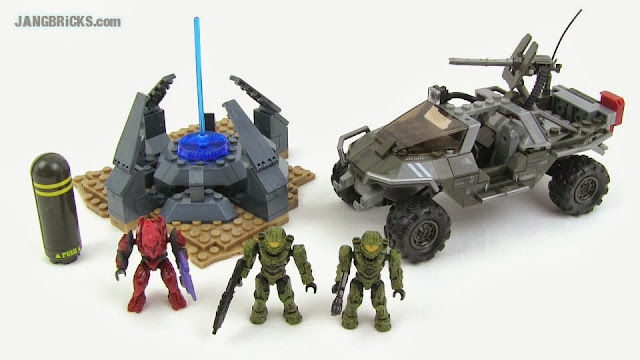 Video: Mega Bloks Halo 97011 Warthog Resistance set review!